September | 2012 | Sonic Smash-Music! 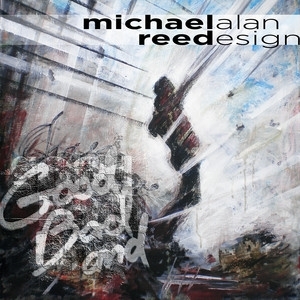 Michael Alan Reed is a difficult musician to pin down. Elements of indie-pop, rock, jazz, folk, and country blend together in often surprising ways. Reed calls it “free jazz improv polyphony” which is good a label as any. The result is part mashup, part original composition, and completely unusual. The musical landscapes are richly textured, as waves of different elements crash into and over one another in a complex geometry that challenges as much as it entertains. His distinct musical style is the result of almost a decade of playing in clubs from Seattle to Hollywood and all points in between. His efforts to remake popular music with a jazz sensibility are paying dividends already, each track on “Good Bad and” is engineered with fanatical zeal and those efforts are clear in the songs. “Funkt” is low down and dirty, like a jam session with super intelligent aliens from another planet. “Melt” is introspective and moody, full of hidden secrets. “Noone” is full of jangly guitar and somber bass lines that drift along like waves lapping at a beach inside your mind. Listening to “Good Bad and” is like seeing the world around you transformed – even the mundane suddenly takes on new form, and connections between styles and ideas that you never noticed before become crystal clear. That passion for a connection is as profound as it is universal. Gorilla Tactics Music was born in 2012, founded by Scotty “Assassin” Schmid as an independent record label, music production studio and live act, focussed on free and complete creative musical control within the electronic music industry. Members of Gorilla Tactics include Scotty “Assassin” Schmid, MC Bear, MC Stylee, MC Seeka, J Ded, El Waldro, Lo Key Fu and more, so they have more than enough talent to make sure every track is as much fun as the live show. “All Night Rockstar” features multiple MCs flexing their lyrical skills over a futuristic, ethereal electronic beat that sounds like it was beamed to earth from outer space. Tongue-twister rhymes and a bouncing beat keep your head bouncing for as long as “All Night Rockstar” wants it to, and it doesn’t look like they want the party to end any time soon. Is it really any surprise? Scotty “Assassin” Schmid, El Waldro, and the rest of the members of Gorilla Tactics have been building a name across Australia based on the all-out riotous fun they bring to live performances. Mission accomplished. Check out “All Night Rockstar” and see for yourself. “Old-fashioned Love” is a unique take on that quintessential American product. The result is an interesting experiment. 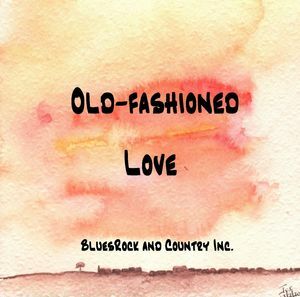 “Old-fashioned Love” has rocking guitar lines built around horns, harmonica, and an electronic rhythm section. Slabbert’s wife even provides a little back up on the cymbals. The title track is an up-tempo torch song, with the a little honkytonk guitar thrown in for good measure. That guitar showmanship stands front-and-center on every track from “Old-fashioned Love.” “Where has my true love gone” starts right out with a searing guitar solo that grabs your attention immediately. The slide guitar on “A tiger in disguise” is as dirty and raw as anything coming out of Memphis. All the way from the Southwestern African coast, BluesRock & Country Inc. are bringing the blues back home. Chicago’s DJ Digital Girl has released the follow-up to her popular debut album, “TranceDuction,” and it appears that her star will just keep on rising. 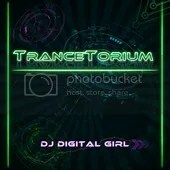 Already lauded by Billboard’s “Next Big Sound” chart, for being one of the ‘fastest accelerating artists on the internet,’ “TranceTorium” cements DJ Digital Girl’s reputation as an amazing artist and superb musician, that crafts incredible melodic trance music that’s a bombastic as it is hypnotic. Her favorite producer, Paul Oakenfold, calls the album “wicked” and enthusiastically urges his fans to check “TranceTorium” out. It’s not hard to understand why. DJ Digital Girl creates infinitely catchy, boisterous dance tracks that are so popular she has almost 35,000 followers on Twitter, and enjoys heavy rotation on many internet radio stations. “Crazy Tune,” the first track on the album, is jaunty and fun, the pulsing beat practically begs you to get up and dance. “Dance Craze” features a synth lead that just meanders along with the frenetic rhythm like a hummingbird but never quite lets you go. “Terminus” is a high-energy rumble on the dance floor, a whirlwind that grabs everything in its path. “Zero Gravity” burbles with neon swagger and an overdose of cool. “Particular Illusion” sounds like it was sent back from the future to kill all boredom. DJ Digital Girl is self-taught, learning how to compose dance music using various digital work stations in her spare time. “TraceTorium” is proof of just how much she’s learned. Every track is meticulously crafted. A world traveller that incorporates an international flair into her production, DJ Digital Girl cites a lot of artists as influences – Tiesto, Armin Van Buuren, ATB, BT, Moby, Paul Van Dyk, Paul Oakenfold, Benny Benassi, Robert Miles, Orbital, Brooklyn Bounce, Above and Beyond, Madonna, David Guetta, Chemical Brothers, Delerium, and many others – and it all comes out in the music. Like Tool frontman Maynard James Keenan, Blane Burnett is from Ravenna, OH. They also share tastes in music, with a willingness to explore dark themes and intricate compositions. And now, Burnett is ready to join his Ohio brethren on the national stage too. “Kant’s Musical Theory,” Burnett’s first LP release, showcases the artist’s multifaceted approach to music. Elements of rock, industrial, jazz, and electronica, all blended into a whole that’s far more than the sum of its parts. Written in the aftermath of a painful breakup, “Kant’s Musical Theory” is a dark and moody, and a perfect introduction for Burnett’s vision. Inspired by artists like Nine Inch Nails, Radiohead, Rage Against the Machine, and even Vivaldi, “Kant’s Musical Theory” represents its diverse lineage perfectly. Piano and string melodies twinkle in and out, across distorted guitar snarls and thundering rhythms. The sparse lyrics give the music plenty of room to move, and that’s a good thing – because the sonic landscapes stretch out for miles, atmospheric and dripping with emotion. Lead track “Robots Are Taking Over and It is Really Really Inconvenient and Frustrating” kicks off the album with a bang, full of menacing synth beats and disjointed vocals that you wouldn’t want to meet in a dark alley. At the opposite end of the spectrum, “Baptism” is an elegy sung from the bottom of a long dark well, plaintive strings ring out against the hollow thump of a bass drum that sounds as cold as a grave. Although Burnett has been playing and touring since the age of 14, “Kant’s Musical Theory” is his first album. Luckily, it was worth the wait. 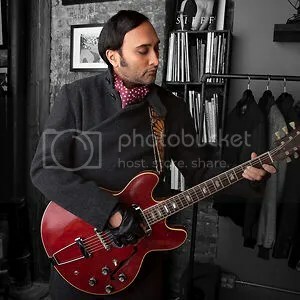 Singer-songwriter Nimesh Gandhi writes, produces and performs songs of melancholy, angst and hope. The Brooklyn, NY musician has been honing his skills for a decade, and now he’s ready to show the world what he’s learned. “Anjali” is the result of that decision. A lofty, melodic album that soothes and croons its way into your heart. “Anjali” is a passport to a private world, one full of beauty that’s as unconventional as it is genuine. of the song touches persons of any ethnic background, while at the same time, present it in a way that actually honors his own ethnic personal experience as a first generation American. Gandhi’s songs beckon listeners to join him on a journey to new worlds and alternate possibilities. His songs are delivered on a bed of classic rock and roll riffs, folk melodies and minimalist electronica. A veteran of the New York music scene, on stage he is regularly surrounded by a rotating cast of familiar New York musicians. He is also a proficient musician with many different instruments. But no matter what he’s doing, Gandhi’s own guitar is never far away. Those experiences have helped him grow as an artist, and he is equally comfortable behind a guitar, or even singing alone. Gandhi’s influences are of course other great singer-songwriters like John Lennon, but he also credits musicians like David Bowie, The Beatles, The Rolling Stones, Pink Floyd, The Moody Blues, and U2 for helping shape his sound and vision. The title track “Anjali” shows that influence. It’s a sweetly-melodic love letter, full of hope and optimism. Clever lyrical twists flit over a sonic dreamscape that’s earnest and touching. One listen, and you’ll wish the journey of “Anjali” would never end. As a musician, Polish-born Radek is a virtuoso, showing a flair for classical instrumentation as well as a modern sensibility that transcends easy categorization. “Invisible Wind,” his debut album, showcases the pure artistry that drives his creativity. Largely instrumental, the music carries a lot of emotion, sweeping you along instantly. Title track “Invisible Wind” is a soft-yet-powerful composition, jazzy and effervescent with just enough funk to stand out from the crowd. 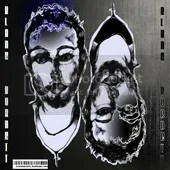 “Summer in Poland” is more straightforward, a pulsing techno track just waiting for a dance floor. For Radek, music has been a lifelong dream. After studying music in Edinburgh, there was only one direction left to go. That new world is the sonic landscape charted by “Invisible Wind.” A world as beautiful as it is magical. 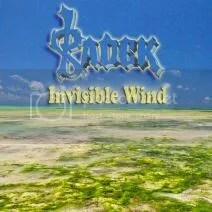 “Invisible Wind” is a testament to Radek’s growing abilities and ambitions as an artist. One listen, and that emotion comes through loud and clear. “Invisible Wind” is a bravura performance that demands your attention.